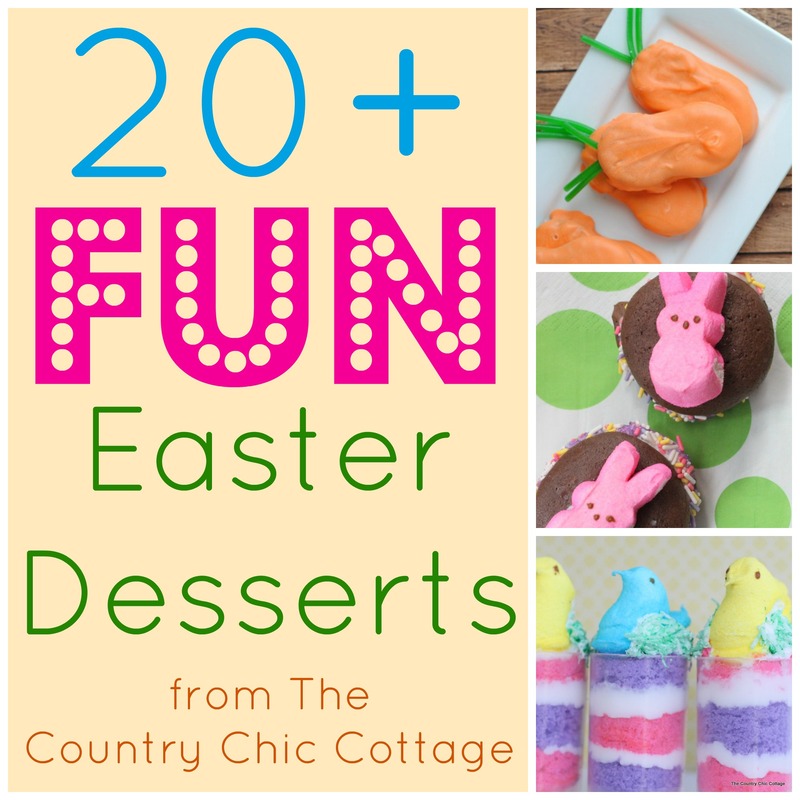 You are here: Home » recipes » Easter Desserts – 20 ideas for you! 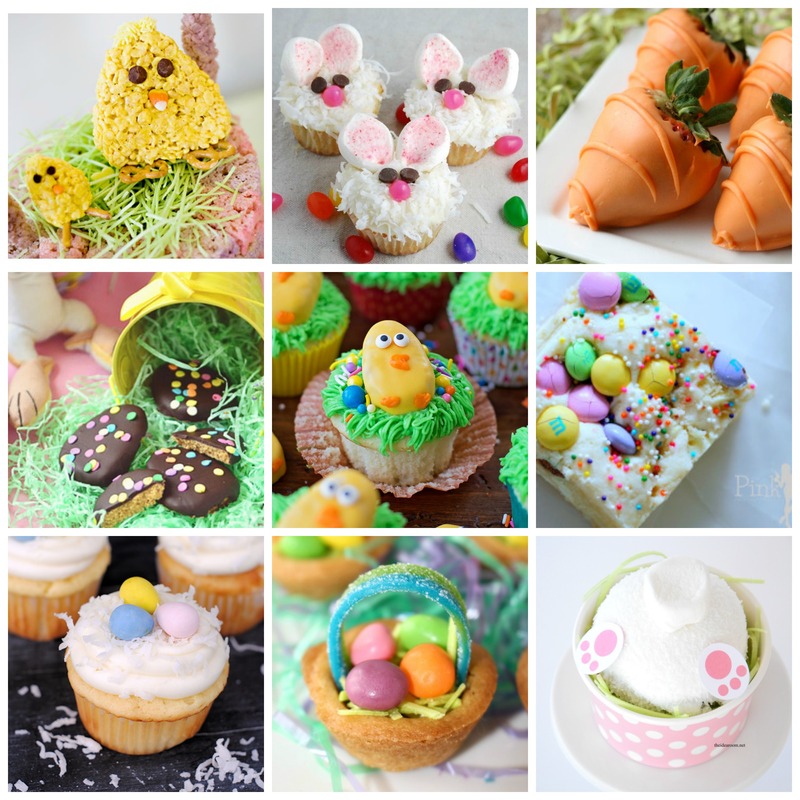 Easter Desserts – 20 ideas for you! Easter desserts can be the best part of your Easter meal. We have 20 ideas for you today that will make your Easter celebration extra special. Make one or two of these Easter desserts for a special treat at the end of the meal. Your entire family will love our ideas and dig right into these delectable dessert creations! We love these types of themed desserts around here and I hope you do as well. Just click the links below to be taken to the recipe and instructions on how to make each of these Easter desserts. Y’all have a happy Easter! Did you find one or two recipes that you are going to try? Be sure to give them a try before the holiday so your family can do a taste test. Then come back here if you need any further ideas. I mean the first try might not pass the taste test. It will be such a shame to have to make another batch of one of these Easter desserts….don’t you think? ENJOY! Need more ideas? We have twenty MORE ideas when you click here. Need more ideas or perhaps a cake stand to add these cute desserts to? You can click around below for even more ideas from Amazon. Any links below are affiliate links which means a portion of your purchase will go to support this site. 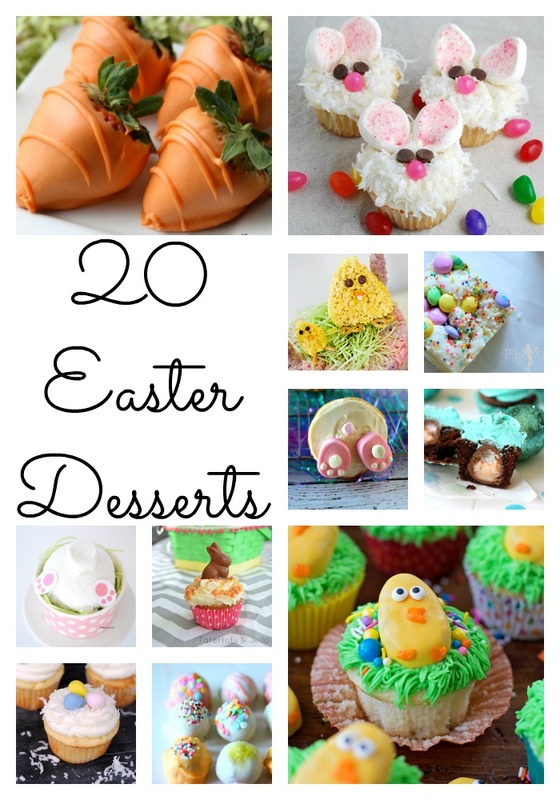 I hope you enjoyed these Easter desserts as much as I did finding them for you!